Today I became the parent of a confectionery special needs baby! 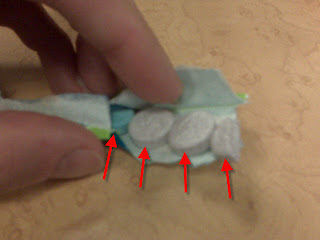 Mini Sweet Tarts normally have 3 chromosomes, but mine had an extra 1/2. Unfortunately, this is not the Willy Wonka version of a 4-leaf clover. I didn't have a particularly lucky day. This is the second time this week that I've seen you use the red arrow, and I just want you to know that I'm noticing it and appreciating it. I think of arrowing things in my pictures all the time but 200% too lazy to actually do it.